If you’re a math teacher, or someone who just finds math fun or intriguing, the annual celebration of Pi Day is probably already on your calendar. March 14, or 3.14, is the date that matches the first three digits of Pi, the number that describes the ratio of a circle’s circumference to its diameter, and a widely-known mathematical constant. For Pi Day 2018, CareerOneStop spotlights careers that rely on math skills. As teachers know, one of the challenges high school and college students face is connecting their preferred school subjects with their longer-term career choices. 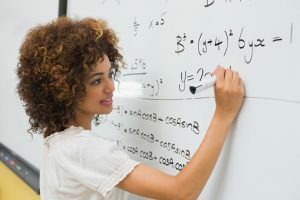 Teachers and students with an interest in math can explore math-loving careers by selecting an occupation from the list below to learn many details about it, including typical education needed, average salary, and tasks. You can even watch a video about the field. The list below includes 25 of the careers that have the strongest demand for math skills. “Bright outlook” indicates that the field is expected to either grow rapidly in the next several years, have large numbers of job openings, or both.